EFRAT, West Bank (JTA) — The Yesha Council has represented Israel’s settlement of the West Bank for four decades. They’ve helped create what appears to be an irreversible reality to both critics and champions: Some 400,000 settlers live in settlements, where they enjoy their own wineries, Israeli chain stores, a university, and a security infrastructure staffed by the Israel Defense Forces. In the meantime, much of the world remains opposed to the settlements, which the United Nations considers illegal under international law, and which the United States variously considers “unhelpful” and “illegitimate.” Critics say the Jewish presence in land the Palestinians demand as part of a future state is a major impediment to any Israeli-Palestinian peace plans, including the recently launched French initiative. With the French initiative, and possibly a regional peace push, looming, the council last month appointed a new chief foreign envoy to make the settlers’ case to the world. Lt. Col. (res.) 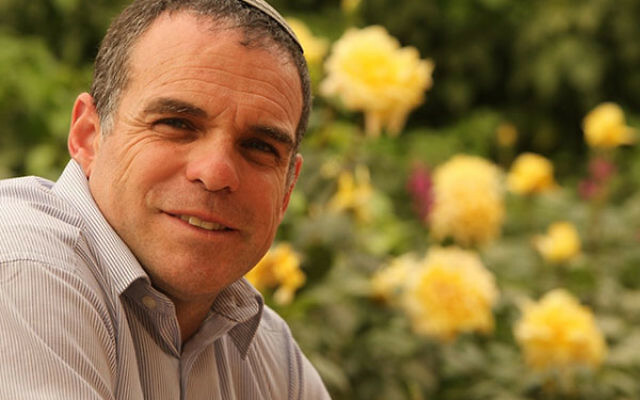 Oded Revivi will be the second person to hold the position, filling the shoes left empty over a year ago by Dani Dayan, the effective former council head who just became Israel’s general consul to New York (after Brazil rejected his appointment as ambassador there because of his settler past). 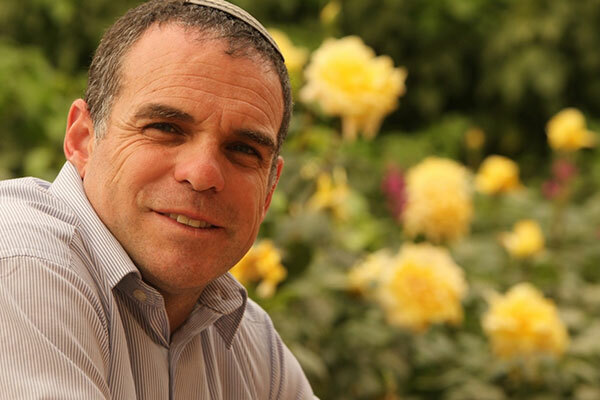 A powerfully built man who wears a small knitted kipa and speaks British English with a Hebrew accent, Revivi is a relatively rare Israeli who can claim to understand Diaspora Jewry. As a child, he lived for several years in the United States and England. After finishing his Israeli army service as an officer in the Armored Corps, he earned a law degree in London, where he met an Englishwoman who is now his wife. What will you tell the world about the settlers? Revivi: Dani basically set the foundations for the understanding that we can’t just focus locally. He definitely invested a lot of time with the official diplomats, with the international media. I think it’s not enough. I think we need to do more. I think we need to find efficient ways to spread messages and relatively cheaply, which is what this whole new media is about, something that during Dani’s time wasn’t developed. That might be hard in the U.S. A growing number of American Jews are giving up on Israel, in part over frustration with the occupation. Does that worry you? Revivi: I think some of the Israeli politicians don’t realize the importance of the alliance with the different sectors of Judaism around the world. When you are saying, “I have nothing to do with Conservative Jews anymore,” you’re basically saying that within a few years, you’re going to close down the strongest lobby that Israel has around the world, which is called AIPAC [the American Israel Public Affairs Committee]. That is something that Israel cannot allow itself. Again, let’s see what’s the common denominator, let’s see what’s the common ground, let’s see where the bridges are we can build with Conservative and Reform even if we don’t fully accept the way that they practice their Judaism. There’s a joint interest. And that’s a major theme in what I’m trying to convey. And it doesn’t matter again with which groups we’re having the dialogue. Revivi: That’s an excellent example of how people don’t know the facts and jump to conclusions. Most of the stabbing attacks, the last time I looked at statistics, over 60 percent of them, happened in what we call “Little Israel” [within the 1967 borders]. Only 40 percent happened in Judea and Samaria. Revivi: Building fences is not the answer. You have all the time to build security, which as far as I’m concerned means to find a shared interest, or an interest that the result will be the same that both parties can benefit. Revivi: I think anybody who thinks at this stage that you can work independently, ignoring the different views, ignoring the different politicians, doesn’t understand how the system works. Once we establish that connection with the different groups, maybe it will be used even to support the agenda of the Conservative and Reform movements. I don’t know where it’s going to lead. What I do know is that we are not strong enough to stand by ourselves, and we need allies of all different sorts, and we’re going to try to reach out to anybody who can help.